Plyometric fitness training – also known as jump training – is popular with athletes as it augments sport performance and adds muscle power by involving the whole body. This athletic type exercise routine has is now admired by all fitness buff around the world due to its wide benefits on health and fitness. Plyometric training involves dynamic resistance exercises to increase muscle power and make it easier for the body to burn fat fast. The benefits of plyometrics are abundant for people who want to gain strength, power, muscle mass, and improve performance. Take on the plyos exercises if you want to add more energy to your routines as you will be running faster, jumping higher and include intense drills to condition the body. If you are someone who is looking for weight loss then plyos exercises will help you develop increased muscle endurance to burn calories at a higher rate. Fast track routines will augment the metabolic rates that will facilitate fat burn. 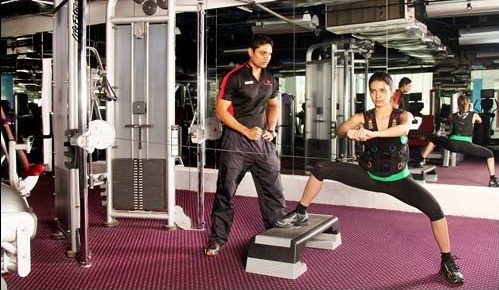 The high rate of movements will help In force development of muscles specially in arms and leg regions. Plus the verticals jumps and the high throws and the broad jumps will allow you to stretch your muscles at length, thus generating more powerful muscles. People who are into sports can get many benefits of Plyometric to improve their performance. Since the routines are designed to boost running speed, it is best for advancing runner’s fitness. Even if you are not into running, you can advance your training through the throws and punches that are used in the routines. Plyos fast paced training aids in improving your stamina for any major sporting event you want to participate. Even if you want to build up general fitness, enhanced power endurance will boost the energy levels for longer period so that you go through the day with better performance during your workouts. Plyometrics is convenient fitness routine for everyone. The active warm ups, stretching exercises and the jumping routine will fit the needs of everyone who is looking to get fit without the use of extensive weights. Make sure that you do not suffer from physical injuries before you take on intense exercises. As said before, plyos can be dangerous for the people who are in poor physical condition or have joint/bone problems. The high-impact aerobics will benefit those who utilize the techniques to advance their fitness with safety.